We've had a lot of terrific Presidents in our US History. Some of them had very unique and interesting pasts. 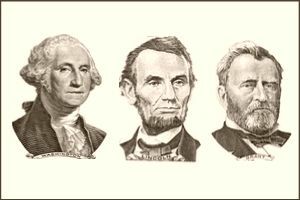 Can you match these Presidents up with the fun trivia fact? Each of these questions are going to ask about one of the Presidents of the United States of America and a fun fact that relates to them. See if you can properly identify what piece of information goes with which leader. As of 2019, there have been 45 different Presidents of the United States. Some of them did some pretty interesting, powerful, or unique things. Can you match the President with the right trivia fact?